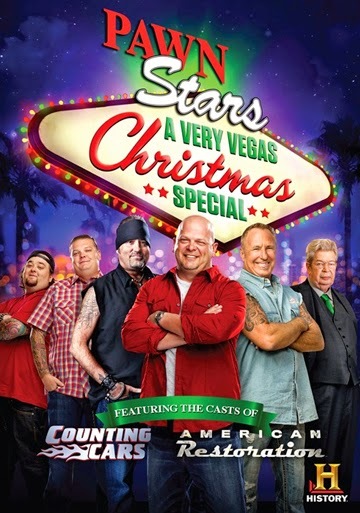 Celebrate the holidays with the guys from HISTORY®’s Pawn Stars®, Counting Cars™ and American Restoration™ in an exciting Christmas crossover event when A Very Vegas Christmas arrives on DVD October 14 from Lionsgate Home Entertainment. Experience reality TV’s finest when these men gather for a debate on the best and worst deals they ever made. As a bonus, the DVD will feature two additional holiday episodes including “Another Christmas Story” from Pawn Stars and “One Horse Open Sleigh” from American Restoration. The A Very Vegas Christmas DVD will be available in time for the holidays. String up more lights and celebrate Vegas-style! Join the men of Pawn Stars®, Counting Cars™ and American Restoration™ as they get together for A Very Vegas Christmas barbecue. Watch as they deck the halls with holiday drama and then debate the best and worst deals they’ve ever made. 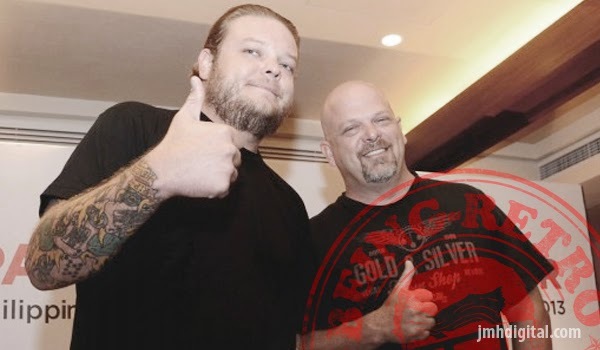 Next, take a look back with the guys at all of the amazing restorations Rick Dale and Danny Koker have done for the pawn shop. And finally, it’s time to eat! Can the guys cook as well as they negotiate?